Sri Lanka has been fighting against the global trafficking arms, drugs and wildlife for some time. During the 30 year war Sri Lanka was unable to fully cope with it. But post-war Sri Lanka is unable to cope with it due to some reasons which can be addressed immediately. These include lack of political will, unwillingness to engage with the international community and lack of human and financial resources availability. Sri Lankan authorities should know that such transnational organized crimes are taking place in the country which cannot be addressed alone without international support. Addressing the transnational organized crimes taking place in post-war Sri Lanka should be one of the high priorities for the Government of Sri Lanka (GoSL). Otherwise it will sabotage the ongoing peace and reconciliation efforts and badly impact on the country’s human rights record. Addressing this important issue directly will improve the human security of its citizens. There are seven essential issues associated with human security such as economic security, food security, health security, environmental security, personal security, community security and political security. Sri Lanka ended its 30-year long armed conflict between the Government Security Forces and the LTTE in 2009. By the end of the war Sri Lanka had almost cleared the threat to national security. But unfortunately post-war Sri Lanka has yet failed to address the issues relating to human security and up until now there are no lasting solutions that have been found to address them. But during the war Sri Lanka had some impressive actions particularly against the illicit small arms. Soon after the war ended in 2009 such initiatives were stopped. Now post-war Sri Lanka is facing a spiral of crime taking place on a daily basis. "Post-war Sri Lanka alone will not be able to eradicate illicit arms trafficking"
Since the establishment of the UN the Programme of Action (PoA) on Small Arms and Light Weapons in 2003 Sri Lanka has actively engaged with the PoA. Sri Lanka carried out certain activities with PoA which benefited Sri Lankans at large and was praised by the international community. With the support of the international community Sri Lanka established the above-mentioned National Commission Against Proliferation of Illicit Small Arms (NCAPISA) in 2005 under the instructions of President Chandrika Bandaranaike Kumaratunga. The NCAPISA with the support of civil society carried out activities including the collection of illicit small arms and light weapons in the country except in the war-torn North and East provinces. It has collected over 35,000 illicit small arms and destroyed them at the Independence Square on the International Gun Destruction Day on July 7, 2005. 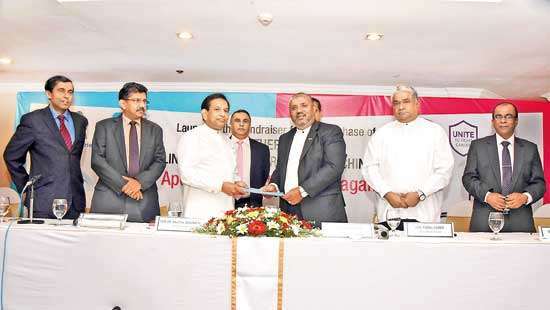 In 2006, the first Review Conference of the PoA was presided by Sri Lanka which brought honour to the country. The then Sri Lankan Ambassador to the US Prasad Kariyawasam presided over the Review Conference. NCAPISA between November 2006 and April 2007, NCAPISA carried out a survey on the Prevalence of Illicit Small Arms which was the first in the South Asian region. The survey report published in 2008 with important recommendations for the NCAPISA, Executive and Parliament, Ministry of Defence, Public Security, Law and Order, Security Forces, Police, Civil Security Department, Ministry of Justice/Attorney General’s Department, Prisons, Government Analyst, Ministry of Foreign Affairs, Health Services, Customs, Departments of Forestry, Agriculture and Wildlife, Ministry of Education, Media and Civil society. "If NCAPISA existed today the country could have avoided certain grave crimes"
The war ended in 2009 at the same time the NCAPISA de-functioned. It was unable to carry out any recommendations mentioned in the 2008 Survey Report of the Commission. Since 2008 up until now neither the Government nor any other party has raised the importance of re-establishment of the NCAPISA in post-war Sri Lanka. If this particular Commission existed today the country could have avoided certain grave crimes. Not only people getting killed but also getting disabled physically or mentally and or both due to such gun violence. Small arms cause 90% of civilian casualties. According to the Sri Lanka’s Police Department crime statistics 35,978 grave crimes were reported in 2017. Post-war Sri Lanka is directly or indirectly linked to the illicit trafficking of drugs and wildlife on a daily basis now. These two trades have direct links to illicit arms which is linked to the global arms trade. In other words these three trades have strong linkages and are always interlinked to one another. During and after the war in Sri Lanka, underworld groups, political groups and certain individuals have received various types of small arms through several means. 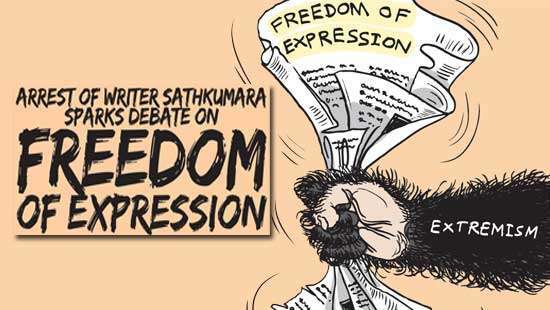 It is believed that the LTTE sold such weapons to the South, military soldiers smuggled them, previous governments distributed weapons to politicians but never collected them and arms were smuggled through the sea and airports and harbours. Due to the circulation of illicit weapons in post-war Sri Lanka underworld activities such as drug and wildlife trafficking, robbing and burgling businesses, ransom takings, contractual killings, rapes and various other atrocities are soaring on a daily basis with the use of such weapons. "It is unfortunate that since 2009 post-war Sri Lanka did not engage with the UN PoA and the ATT"
Post-war Sri Lanka alone will not be able to eradicate the illicit arms trafficking as mentioned above. The international community has already pledged their support for Sri Lanka on this important matter if Sri Lanka is ready to join with them. Before that Sri Lanka should show genuine commitment towards the matter and should carry out two important acts before engaging with the international community. 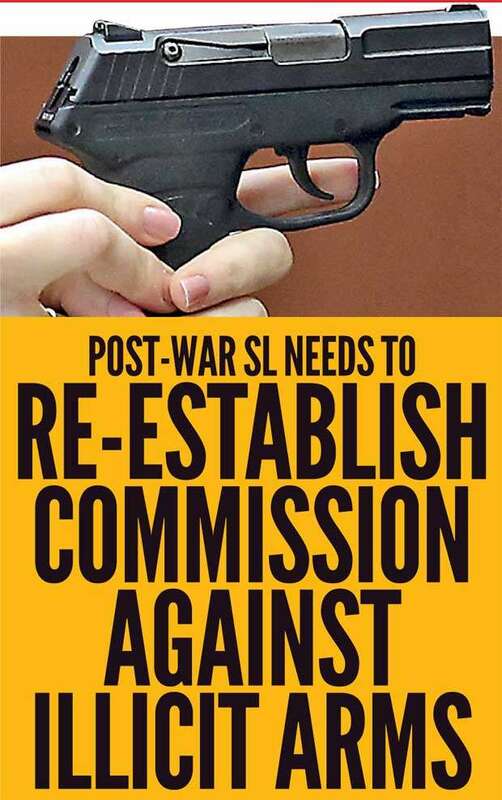 The Survey Report of the NCAPISA recommended (page 18) that; the Foreign Ministry should continue to play a strong and active role on behalf of the Sri Lankan Government in strengthening international and regional instruments to control small arms, including the UN PoA and the Arms Trade Treaty (ATT). The ATT which came into force in 2014 promotes responsibility, transparency and accountability in the global arms trade. Further this Treaty is critical to stopping weapons falling into the wrong hands thereby fuelling human rights violations. The ATT is particularly concerned about women and children who account for the vast majority of those adversely affected by armed conflict and armed violence. Further, the ATT and the Sustainable Development Goals (SDGs) of Agenda 2030 share common goals and purpose. It is unfortunate that since 2009 post-war Sri Lanka did not engage with the UN PoA and the ATT. Due to post-war Sri Lanka’s not engaging with these two international instruments the country itself failed to address the issue of proliferation of illicit small arms. 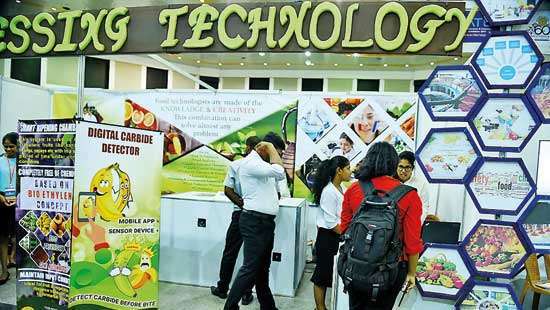 From next year onwards Sri Lanka will start hosting the world’s largest international conferences like the Conference of the Parties (CoP) of the Convention on International Trade on Endangered Species of Fauna and Flora (CITES). The CITES always encourages governments around the world to fight against the illicit arms trade which has a direct link to wildlife poaching. Before the 18 CoP of the CITESSri Lanka as the host country should show commitment on the matter and accede to the ATT. "The war ended in 2009 at the same time the NCAPISA de-functioned. It was unable to carry out any recommendations mentioned in the 2008 Survey Report of the Commission"
A). Re-establishment of the NCAPISA (Reviewing the previous mandate of the Commission with a new work plan). C). Amend the Firearms (Amendment) Act No 22 of 1996 or have a new Act on Firearms. D). Review the recommendations set out in the 2008 Survey Report of the NCAPISA. F).The security forces recovered small and light weapons from the LTTE and since 2007 authorities recovered illicit arms from people which should be destroyed at a public place. This could be organized in parallel to the next year 10th anniversary of ending the war between the LTTE and the Government Security Forces. Carrying out such activities will help to improve Sri Lanka’s human rights record and strengthen ongoing peace and reconciliation efforts. Post-war Sri Lanka should look for permanent solutions for the issues concerning human security rather than survive on day-to-day short term political tactics on such important issues. If post-war Sri Lanka failed to address issues relating to human security no doubt the country would be heading for a lawless state. Implementation of the death penalty alone will not bring the desired results and that will only bring bad publicity for post-war Sri Lanka.